The X-Men return to New York City, but it’s not a social call – the Marauders are back! 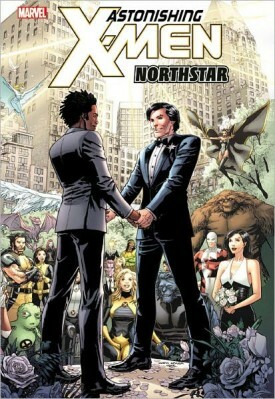 Something from Northstar’s past has resurfaced and is looking for revenge – and when his boyfriend Kyle goes missing, will Northstar choose him or the team? Plus: Karma is losing control of her mind and taking control of the other X-Men – but all that pales in comparison to how this story ends! Collecting ASTONISHING X-MEN (2004) #48-51 and material from NATION X #2.